There are lots of crazy stories going around about Freddie Mercury. 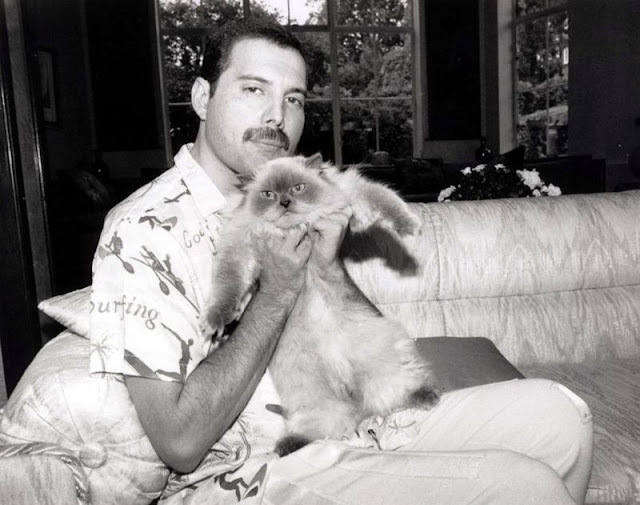 The extravagant Queen frontman always was one of the favorite subjects of the tabloids. 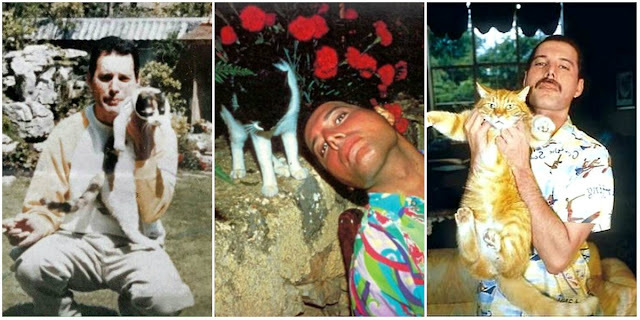 You might have heard some crazy drug or party stories, but this true story is about something completely different: cats. 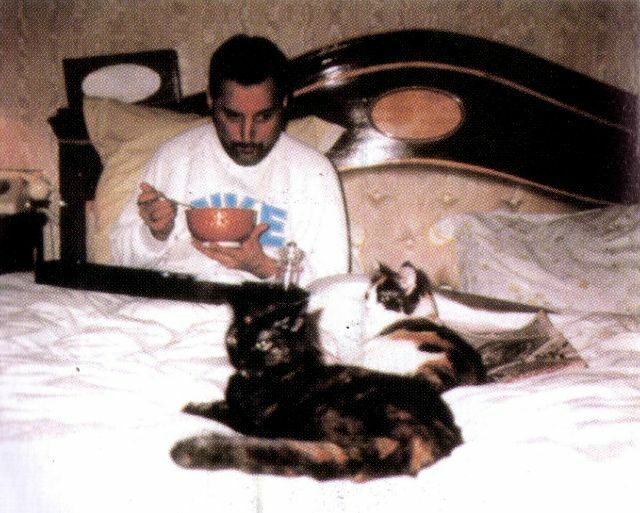 Freddie Mercury was a cat person, no doubt about that. 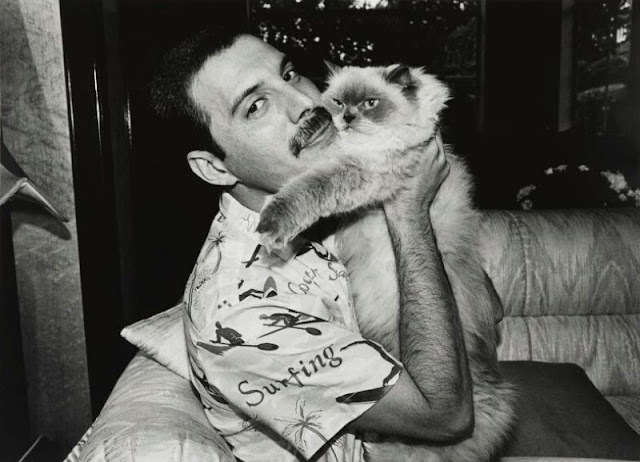 He owned several cats during his life and missed them a lot when he was on tour. 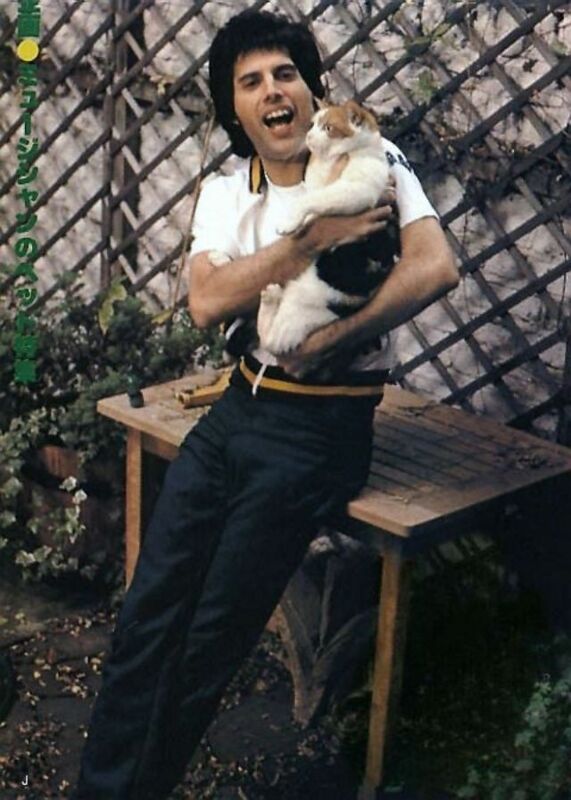 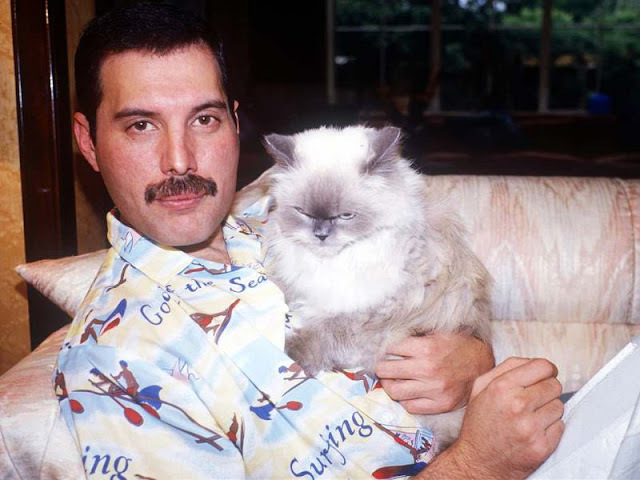 According to Peter Freestone who wrote Mercury’s memoir, the singer often “called” his cats when he was away. He would call his house and a friend or family member on the other side of the line would get his cats on the phone. 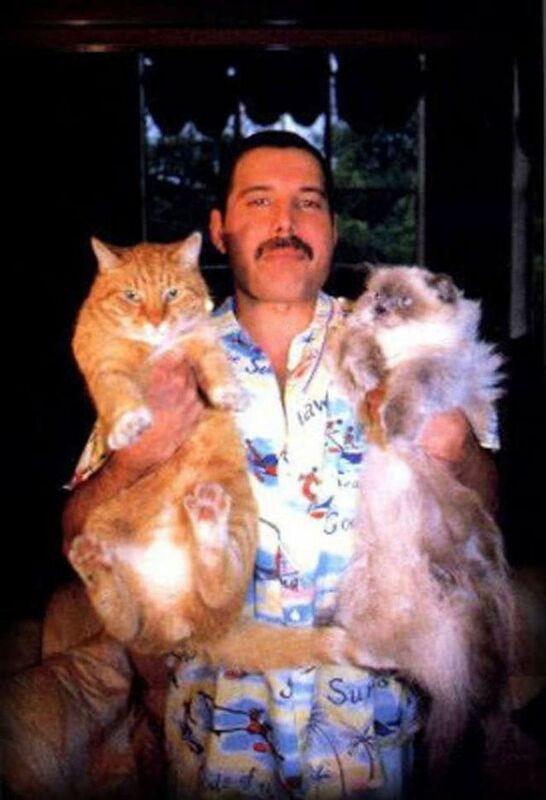 He told them about his day and how much he missed his furry friends. 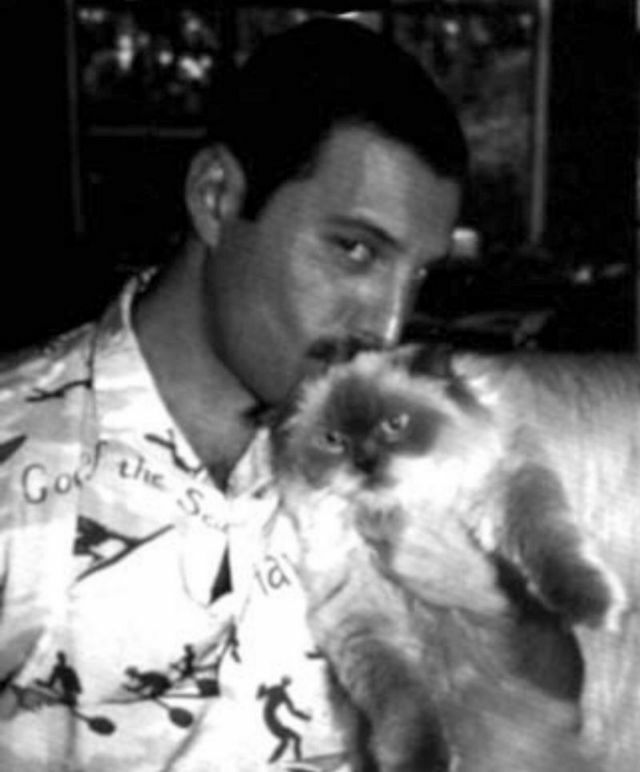 Freddie Mercury also dedicated the album “Mr Bad Guy” and the song Delilah to cats. 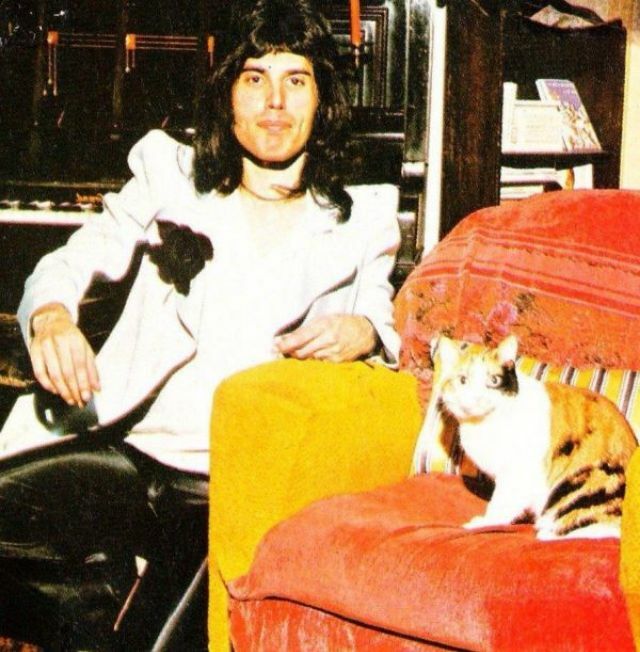 People think Delilah is about a woman but there is a line which goes: “peeing all over [his] Chippendale Suite” – gotta be a cat. 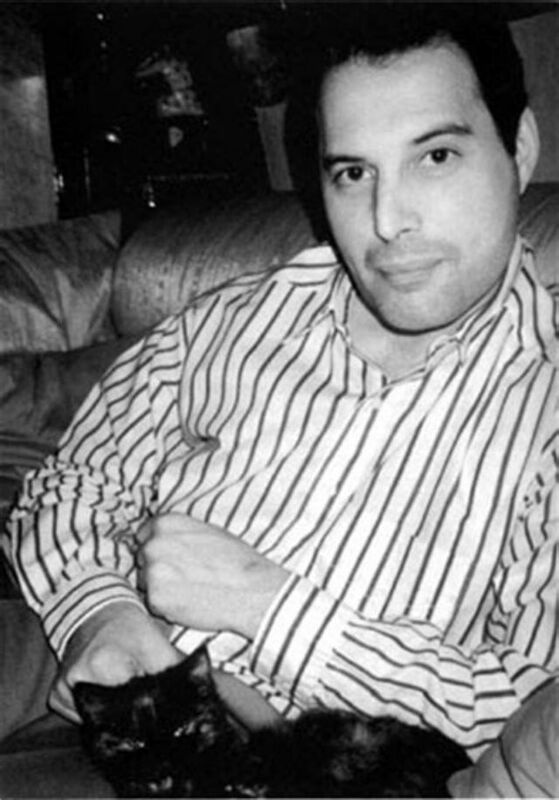 At the time a cat named Jerry was big in his life. 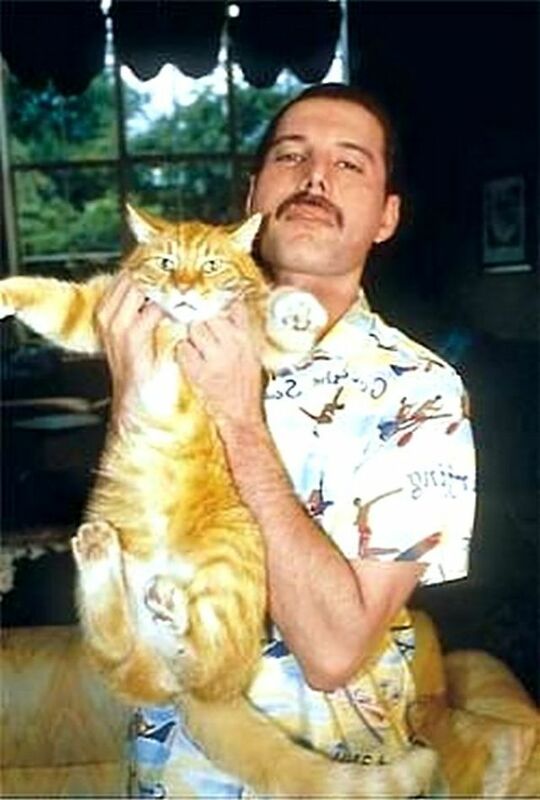 Delilah was a large calico cat he adopted in 1987. 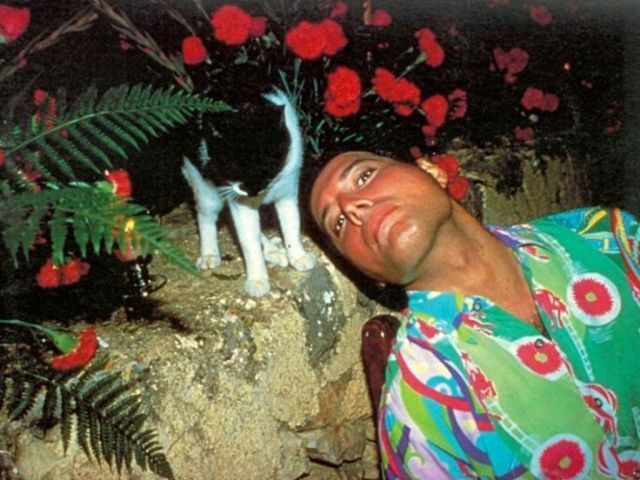 He favored her. 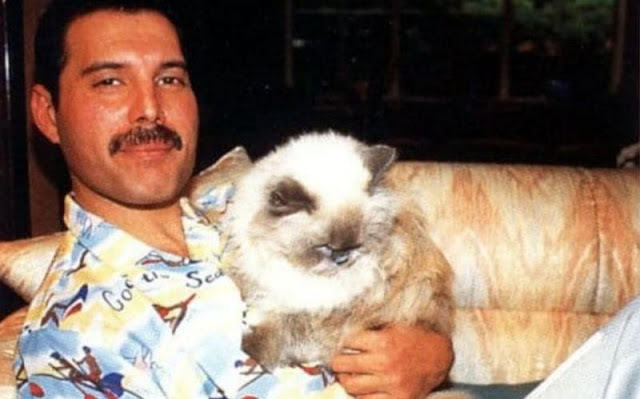 He treated her (and his other pets) like children according to Jim Hutton, his last partner. 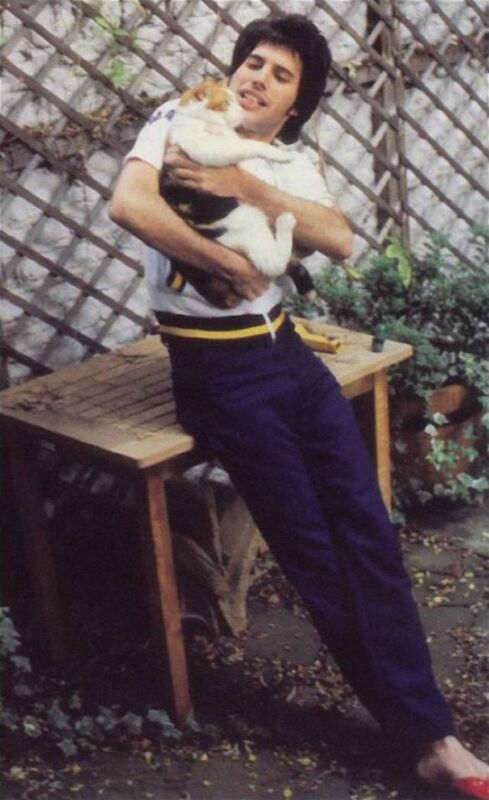 Other cats he cared for were: Goliath (a small black cat who liked to sleep in the bathroom washbasin or at least he did when they couldn’t find him once), Miko (black and white – mainly black), Romeo (tabby and white), Lilly (black and white – mainly white, a Turkish Van type cat) and Oscar (an orange-and-white Tom who came to live with him via his partner Jim Hutton). 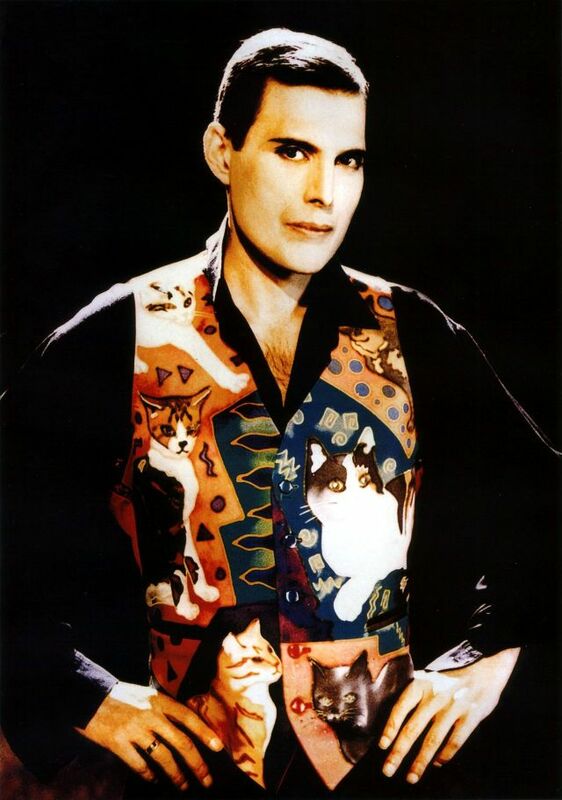 Freddie in his much loved silk cat waistcoat. 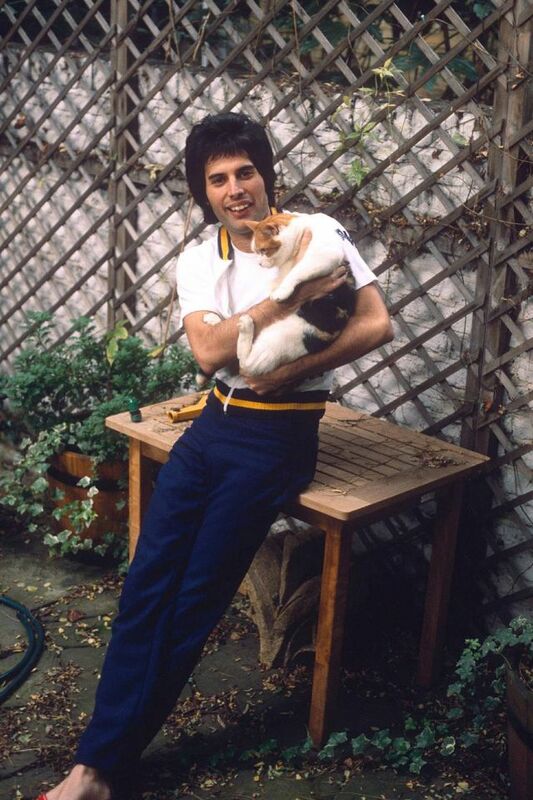 It was a present from Donald McKenzie who got ahold of pics of all Freddie’s cats. 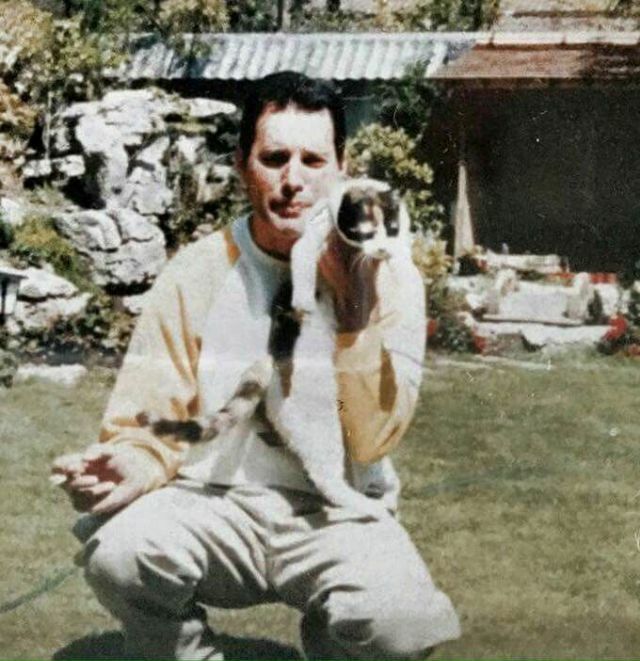 He had a friend that hand painted them for him before giving it to Freddie. 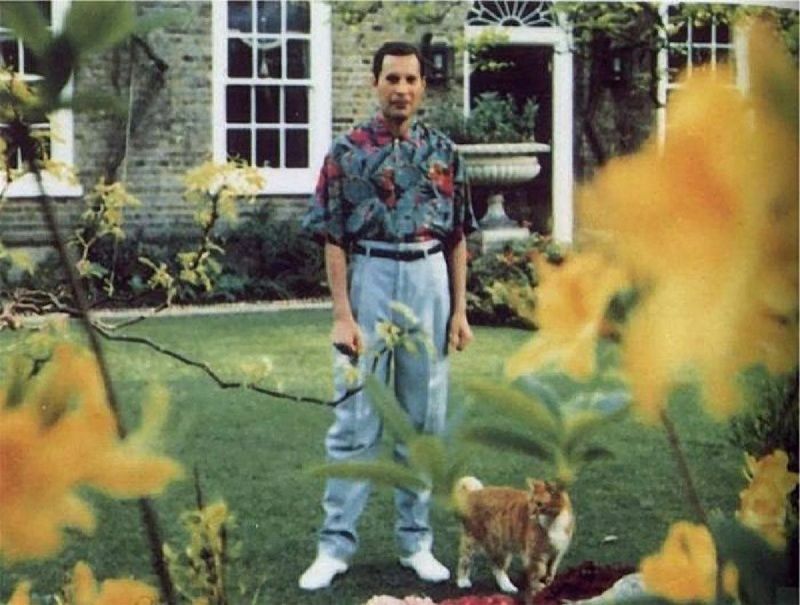 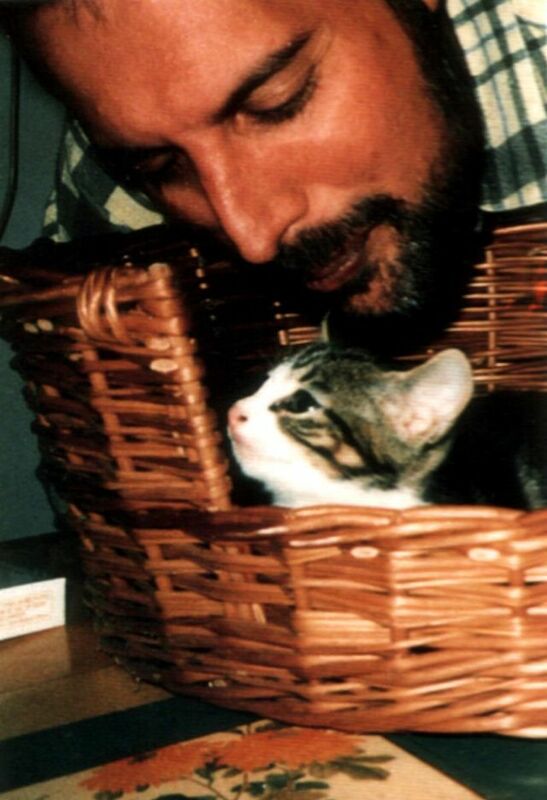 One of the last known photos of Freddie Mercury was with his cat Oscar.